Heritage Expeditions has released its 2012/2013 expedition programme including a new and expanded range of voyages in the Russian Far East. In addition to its existing popular itineraries, Heritage Expeditions has added two new voyages which will appeal especially to nature and wildlife lovers and those interested in history and culture. A special 18-day 'Sea Otter Survey' voyage will give passengers the chance to be part of a genuine conservation and research project working with the sea otters of the secluded Kuril Islands, north of Japan and the Kamchatka coastline of eastern Russia. Heritage Expeditions has made its expedition ship Spirit of Enderby available to a team of researchers, who will undertake a detailed survey of the sea otters in these remote regions. Led by otter biologist and specialist Katya Ovsyanikova, the team will include world-renowned professionals who will perform a much-needed population census, collect genetic material and carry out surveys of the food resources available to otters. Passengers are invited to join the research team and assist with data collection. There are also opportunities for a limited number of qualified divers to undertake underwater sampling; as well as opportunities for bird-watching, botany, photography and hiking – or simply enjoying the rugged beauty of these intriguing volcanic islands. "Conservation in Russia, as in most other countries, is underfunded and the problems are compounded by the vastness of the country and inaccessibility of many of the remote islands," said Heritage Expeditions founder and owner, Rodney Russ. "Over the many years that my family company has been involved with conservation agencies in Eastern Russia, we have been overwhelmed by their unfailing support for our expeditions in the region. "The Russian authorities have helped us offer travellers a world class natural history experience. Now, we feel it's time to give something back - and this is a chance for guests to contribute directly to conservation efforts in a truly unique way," he said. Another new voyage in the program is a 17-day 'Sea of Okhotsk' voyage, which aims to unlock some of the secrets of this virtually unexplored region. In the language of its indigenous people, the Sea of Okhotsk translates as the 'Sea of Hunters', giving an indication of the abundance of wildlife to be found here, including whales, seals, dolphins, rare bird species and brown bears. Its coasts were home to the Nivikh, Oroki and Even indigenous peoples - whose descendants can still be found practising a way of life handed down by their ancestors. Heritage Expeditions believes this is only the second expedition of its kind to visit the region. 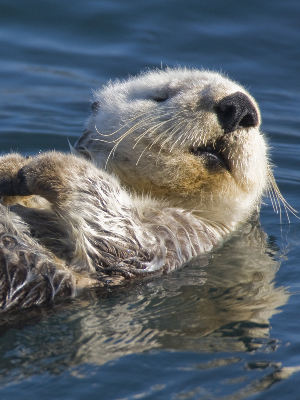 The 'Sea Otter Survey' voyage departs on 9 May 2012 with prices starting from US$4,900 per person. The 'Sea of Okhotsk' voyage departs on 7 June 2102 with prices starting from US$7,500 per person. Berths are strictly limited and early bookings are recommended.